Nimustine hydrochloride is a DNA alkylator and cross-linker. Anticancer agent used to treat malignant glioma. Cardiovascular teratogenicity was studied in rat fetuses. 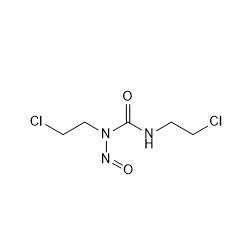 Ethyleneimine is a monofunctional alkylating agent with potential antineoplastic activity. 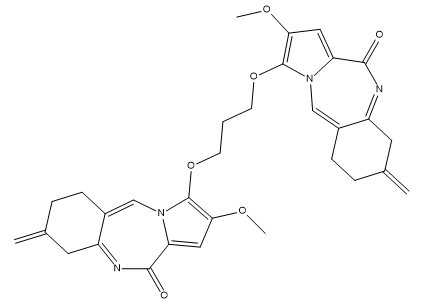 BN-2629 is a DNA-intercalating agent potentially for the treatment of ovarian cancer and leukemia. SPDP is a short-chain crosslinker for amine-to-sulfhydryl conjugation via NHS-ester and pyridyldithiol reactive groups that form cleavable (reducible) disulfide bonds with cysteine sulfhydryls. DSS crosslinker, or Disuccinimidyl suberate, is a homobifunctional crosslinker that is cell membrane permeable. Miriplatin hydrate is a chemotherapy agent which belongs to the class of alkylating agents. Miriplatin is a chemotherapy agent which belongs to the class of alkylating agents.